On the 11th August 2018, Odyssey International organised and managed a private festival day at Ardgillan Castle and Demesne. It was part of “The Circle of Champions” programme, the largest incentive corporate group ever to visit Ireland as one single group with over 2,600 guests. Susie and the team at S.E.A. were engaged as entertainment partners to create and curate the event. We also undertook the production for the festival and supplied the staging, circus tent and giant-size fun Installations onsite. The theme was “The Best of Ireland” – a celebration of Ireland and its culture. A large outdoor rolling festival with everything happening simultaneously. All 2,600 guests from the USA were treated to an immersive experience where they enjoyed the very best of Irish music, entertainment, comedy, magic, arts and crafts, cookery demonstrations, Irish sports and a sumptuous array of foods from Good Food Ireland. On the day of the festival we offered a bespoke, sophisticated entertainment schedule specifically developed for this event. It included performances across four main entertainment areas showcasing Irish bands, rock, pop, soul, traditional, contemporary céilí dancing workshops and many other delights. Twenty acts rotated over the four stages and these numbers were further enhanced with over 120 roaming dancers, entertainers and costumed characters who followed a very tight script. We worked closely with our clients, Odyssey International, to devise this VIP programme for their guests. With three incredible venues to utilise, we created a bespoke celtic programme, showing the very best of Irish music, dance and entertainment. We eased our tired long-haul visitors into a very gentle and relaxed early evening gathering in the The Shelbourne Hotel. With a light buffet and refreshments the guests met and mingled with our classical 5-piece and enjoyed a repertoire of Irish ballads and instrumental airs. The small group of guests had exclusive use of the Gravity Bar at the Guinness Store House and enjoyed their own mini rock concert by The Joshua Tree - U2 Tribute Band. 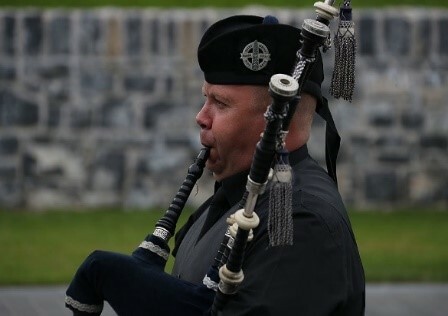 Guests were lead to the ballroom of Adare Manor by our celtic piper. They enjoyed a drinks reception with our jazz trio and a fine dining experience with their own Irish dance show. The guests danced into the night with music from our special guest DJ Claire Beck. A fabulous three night social programme in the luxurious surroundings of The K Club and Luttrellstown Castle, this intimate President's Awards occurred in the height of Irish summer and was a total pleasure to design. Guests gathered in the K Club clubhouse on their first night, for a casual Irish street festival themed evening. We provided the décor, staging and performers. Guests enjoyed live music and an impromptu céilí before the sun went down. 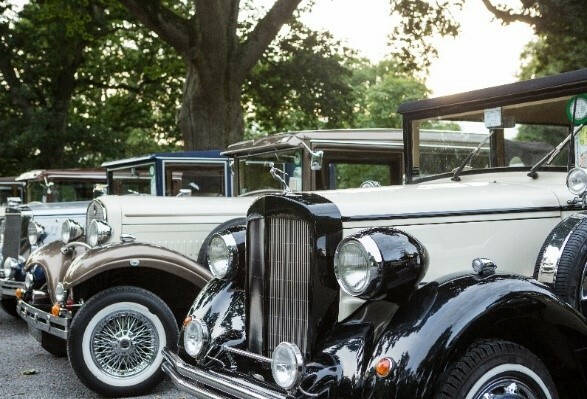 Guests travelled to Luttrellstown Castle in vintage cars, served drinks on the lawn with a falconry display, enjoyed a 5 star dinner with top class entertainment from our jazz quartet and a celtic showcase from Affiniti. The night closed with a spectacular fireworks display to the backdrop of the castle grounds. 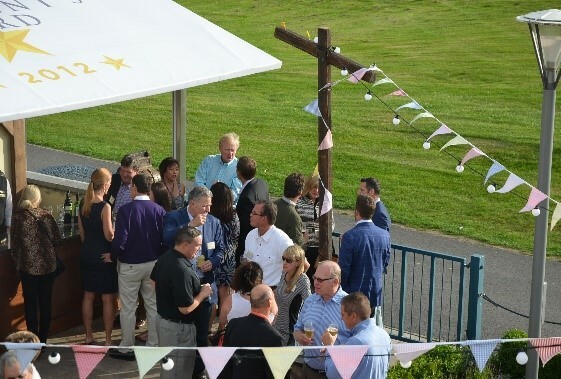 The guests spent their final night back in The K Club formal gardens for a relaxing BBQ. With an acoustic string quartet playing in the summer air, it was a perfect closer for our special VIP guests.